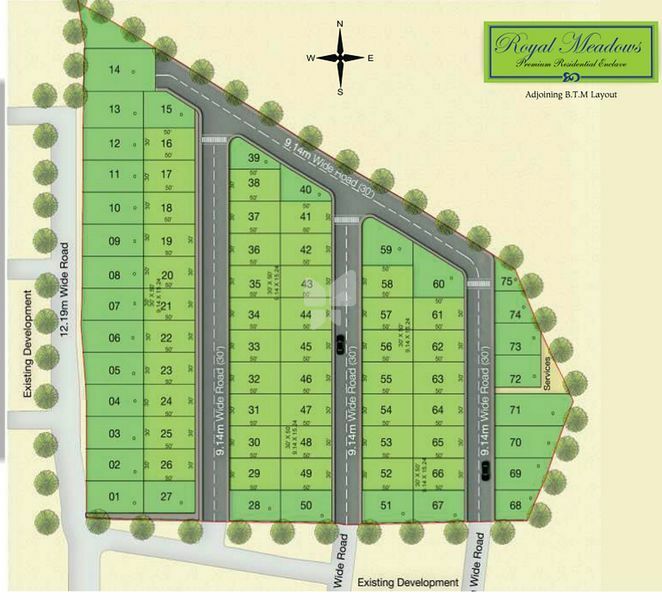 How Far is Royal Lake Front Residency IV? The gated residential township in its phase IV has breath-taking luxurious villas.It also has completely approved ready-to-build residency plots which comes entirely hassle-free. We at RS Developers believe that our strength lies in our customers. Our inquisitiveness is nurtured with your enhanced dreams. While the idea of your enriched life style led to our adventures in unexplored areas, the choices you make directs the innovation in us. RS Developers takes pride in its path breaking trends adding new dimensions to urbane living. We leave our customers with a memorable experience. Our luxurious architectural designs and amazing manifestation has left people with smile and contentment. Travelling that extra mile to fulfill your long awaited dreams gives us immense pleasure. The world is dynamic; every facet in life is changing rapidly. New technologies pave wave for better ideas enriching the standards of living. Ensuring quality along with the adaptation to the latest expertise has always been the RS Developers way. Innovation in creation and involvement in evolution is the latest aspect in a world class living and for this RS Developers makes every single attempt. Also RS Developers ensures extensive market analysis and research before making a new launch. The life style trends in India have been changing swiftly over the past few years. Keeping this in mind RS Developers moves forward with an intension of delivering the latest trends using the most appealing expertise.Completely being customer centric, RS Developers lives up to the client expectations in any given circumstance and enables a long term relationship. Be it pre-sale, be it post-sale, RS Developers delivers the best. To create new benchmarks in realty development and project management services with a commitment to maintain the highest quality standards.To provide complete customer satisfaction through constant focus on quality and timely delivery within the stipulated budget.